I remember many times going to the Old School House with my mom as a child to enjoy afternoon matinees of such plays and operas as “The Pirates of Penzance” amongst others. But as good at the plays and operas were, and as amazing the performers are, they are pretty good! It was their friendly ghost, which has recently captured my imagination. According to the staff, Winslow, as he has become to be known, was a well-known attendee to their productions. Many times he joking hid their tools only to later be found in odd places, and after much-hurried searching. Winslow was also known to help the actors, having apparently pushed them onto the stage for their entrances on more than one occasion helping to make sure the production went off without a hitch. Not all of Winslow’s antics were limited to hiding things, moving things and pushing actors onto the stage. In talking to Helen, I learned of a truly humorous story which needs to be shared. “My favorite thing that happened to me was I was in the kitchen area of the building getting ready for intermission and fixing cookies on a plate when I felt someone patting me on the rear. I didn’t think anything about it as my husband would do that and suddenly I realized no one was in the room with me. It was all very friendly and nothing to be afraid of. In a realm where so many hauntings have a negative presence, it was truly refreshing to hear about a happy ghost with so many wonderful admirers. I have to say that I hope Winslow does find them because Helen and the others miss him. 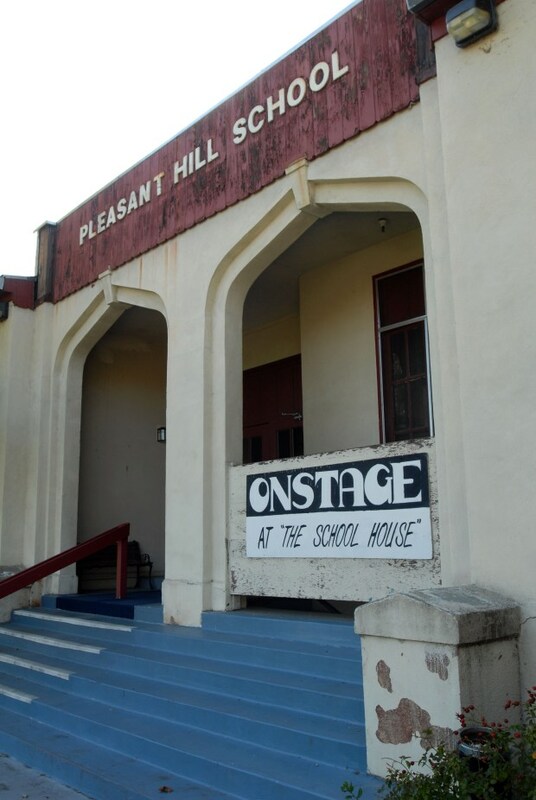 The productions at the Old School House were always a boisterous, lively and fun experience for me as a child. So I it was nice to hear that happy old school house was haunted by a fun loving happy ghost. Psst. Winslow – They are going to be putting on some productions over at the Campbell Theater in Martinez! Please go find them! The Old Schoolhouse is now closed as the foundation was starting to crumble due to age, making it structurally unsound. But the performers are moving to the Campbell Theater so please check them out. Now if you do want to stop by and talk to Winslow in the parking lot you can find him at the corner of Oak Park Blvd. and Pleasant Hill Road. Please don’t go inside but maybe, if your nice, Winslow will great you in the old parking lot!